I'm not sure if this is done yet. That's the nicest thing you've never said to me. I think no one is rather interesting looking... I keep trying to see him better (one of the things I like about this). 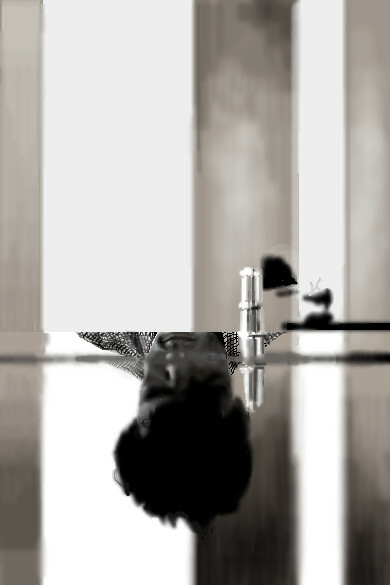 I tried getting upside down (lol) but I still can't see him well enough to know what he looks like. That's pretty refreshing. It's ghostly, well drawn Dan. It would only partially load for me. Whoa i didn't see this ealier. It's brilliant. Awesome idea and awesomely executed. Holy Cow. It looks like a real reflection! The reference looks a little like Richard Marx. This is one of your many amazing works. one of the best of your best. I can see that. Beautiful draw, flubbles. It is scarlett johanson in the movie a girl with a pearl earring.I drew it after seeing the film, i think i did it with lascaux sketch. You didn't draw that Scarlet J with Lascaux. You used Chibi, Flub. Your right I remember now. Discussions up until 2010, no wonder this looks familiar. I wonder what the ref looks like.